Chanel in WinterKarl Lagerfeld is gone, and his final Chanel show, set in an alpine village, was an appropriately mindful good-bye. Inside Karl Lagerfeld’s Last Chanel ShowThe designer planned his finale down to the weather. Choupette Can’t Actually Inherit Karl Lagerfeld’s FortuneIt’s because she’s a cat, isn’t it? Hear Cathy Horyn on Seeing Another Side of Karl LagerfeldThis week’s episode of our podcast, The Cut on Tuesdays. Jason Momoa Wins the Oscar for Best ScrunchieIt was pink velvet. 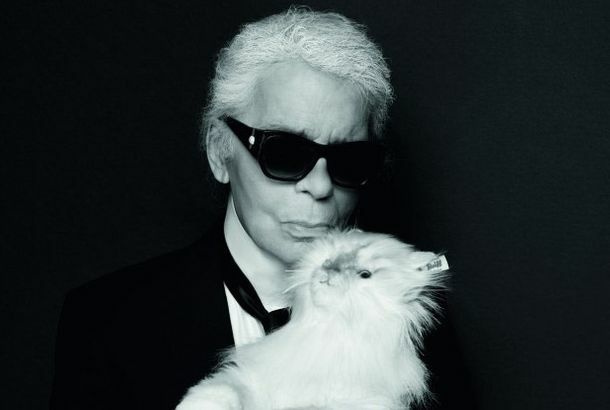 No One Loved Anything As Much As Karl Lagerfeld Loved His Cat ChoupetteThe late Chanel designer’s devotion to his cat was legendary. Karl Lagerfeld Did the WorkThe pop-culture icon worked harder, changed faster, and lasted longer than any other fashion designer. I Tried Karl Lagerfeld’s DietLosing weight with the designer’s regimen of Diet Coke and burnt quail. Who Is Virginie Viard, Karl Lagerfeld’s Right-Hand Woman?She’s been appointed by the house to oversee the creative work for Chanel in the wake of Lagerfeld’s death. 40 Incredible Moments from Karl Lagerfeld’s Runway ShowsThe man loved pageantry. Karl Lagerfeld, the King of Fashion, Has DiedThe inimitable designer was 85. Chanel Shows in Paris Without Karl LagerfeldBut the show was still pure Lagerfeldian opulence. Chanel Will Show at the Metropolitan Museum of Art This DecemberMet Gala part deux. 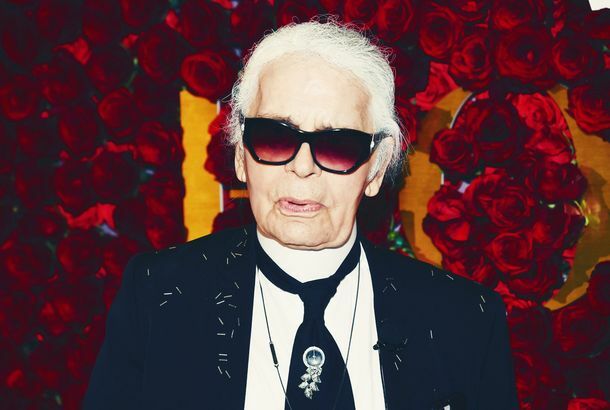 Karl Lagerfeld Talks Death and His Enemies in a Wild New InterviewThe 84-year-old designer has no filter in a Número magazine interview. Chanel Makes a Compelling Case for Carrying a Clear PurseKarl Lagerfeld knows his way around PVC. Instamatic Memories From the Artist Who Captured the Disco YearsIllustrator Antonio Lopez experimented with photographing friends like Jerry Hall, Grace Jones, Grace Coddington, Pat Cleveland, and Jessica Lange. Cindy Crawford’s Daughter Is Designing a Collection With Karl LagerfeldWho better to partner with than the creative director for Chanel and Fendi? This Fashion Icon Really Needs to Stop Talking About Immigration PolicyA French TV station has received hundreds of complaints over the Chanel designer’s comments. This Is What You Get When You Combine Vans and Karl LagerfeldPonytailed checkerboards — seriously. Karl Lagerfeld Received Medal From Mayor of Paris at His Chanel Couture ShowLagerfeld was awarded the Grand Vermeil medal on Tuesday. Karl Lagerfeld Re-Created Ancient Greece in Paris for Chanel CruiseFor a show that combined modern and ancient style. See All the Ways You Can Wear Chanel’s New VR-Goggles-Inspired BagIt’s their first major new bag since the Boy style in 2011. Yes, Chanel Really Did Launch a Rocket at Its Show TodayKarl, we have liftoff. Meryl Streep Issues Scathing Response to Karl Lagerfeld’s Oscar Dress CommentsDo not come for Meryl. For Just $538, You Can Buy a Stuffed Animal of Karl Lagerfeld’s Cat, ChoupetteThe designer teamed up with Steiff for the toy, which will retail for over $500. Chanel Showed Sparkling Couture Inside a Hall of MirrorsAnd house favorite Lily-Rose Depp closed the show. Karl Lagerfeld Rumored to Be Dressing Melania Trump for the InaugurationIf so, he would join Ralph Lauren as the most high-profile designers dressing the incoming First Lady. Behind the Costumes for Tom Ford’s Noirish New Film Nocturnal AnimalsWhich, believe it or not, didn’t involve any designs by Tom Ford. 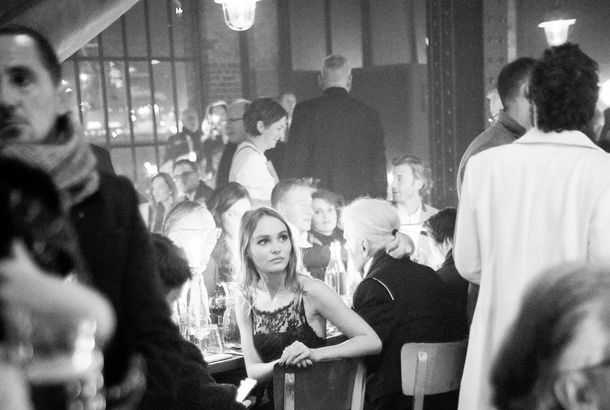 Get Ready for Karl Lagerfeld Hotels and NightclubsWill you be checking in? Karl Lagerfeld Is ‘Not on an Ego Trip,’ Okay?In fact, the designer is so humble, you wouldn’t even believe it. Here’s What Karl Lagerfeld Had to Say About Kim Kardashian’s RobberyThe Chanel designer criticized Kardashian for her “display” of wealth. Chanel Robots Are Called Cocobots at Paris Fashion WeekIt was a futuristic digital vortex. How Fendi Went From Leather Goods to LagerfeldNinety years of the storied house. Inside Fendi’s Takeover of the Trevi Fountain in Rome TodayThe models walked on water (sort of). Karl Lagerfeld Took a Bow With His SeamstressesAt his atelier-themed Chanel couture show today.